What they are. Why they matter. And yes, how to hire for them. While you can’t hire around a soft skills gap, you can create a hiring strategy that identifies and rewards the right soft skills for each role. 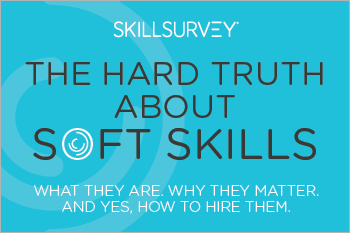 Download our interactive eBook, The Hard Truth About Soft Skills: What They Are. Why They Matter. And Yes, How to Hire for Them to learn more today.